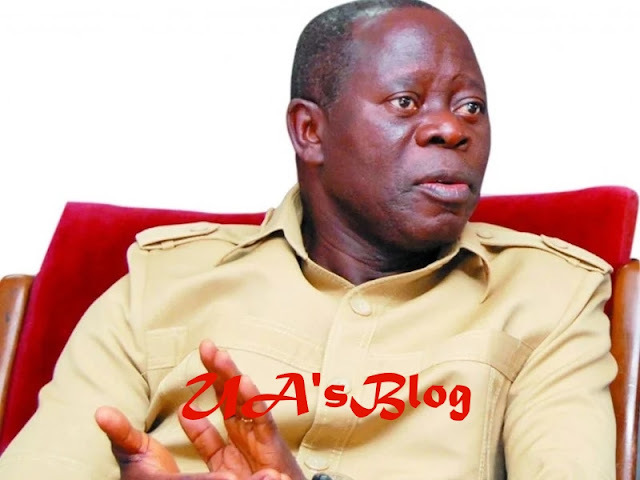 Adams Oshiomhole, former Governor of Edo State, on Sunday urged the President Muhammadu Buhari-led Federal Government, to take more “ruthless” measure in dealing with alleged looters across the country. He gave the call while describing as mindless, the alleged looting under the immediate past administration of ex-President Goodluck Jonathan. Speaking in Benin, the Edo State capital, Oshiomhole noted that it was the right of Nigerians to know the level of rot that transpired during Jonathan’s administration. He said, “I think that if other Nigerians don’t understand the power of transparency, the right to know, the media should uphold that right and defend it. “What was stolen was not from private purse; the house that was destroyed was not a private residence. “We are talking of resources, which if it is distributed on basis of equality, divide by 180 million people, you will be a lot richer. “I think my only complaint is that the Federal Government should be more ruthless because there are lot of people who should be in court who are not there. “When I was still in the office and I said the kind of money they stole was huge in dollars they paid hired writers to ask how I knew. “I have interacted with power vertically and horizontally. I know that we cannot be lamenting today without understanding that the treasury was burgled yesterday. “I think the promise of democracy is that good or bad, the people have the right to know and that is the starting point and particularly important. “I think the people have the right to know and if any of them think that what has being said is not true, they can go to court. “All of them who are involved and those who they are looking for, they should put everything in public domain and that is the promise of democracy and it is about you. “Just by virtue of being in a winning party they helped themselves so much. “One of the acting chairmen of PDP, Ahmed Makarfi, I used to respect him so much, I heard him saying that the reason they did not indict Diezani was that the money missing and everything that was done, Goodluck approved. “If President approved the money, should it be stolen and not go into the federation account or used for the intended purpose. “Jonathan may have immunity against prosecution but he doesn’t have power to appropriate what the national assembly have not done. “Right now, they are now saying the national assembly should not approve the $1 billion the Federal Government is going to spend on security.